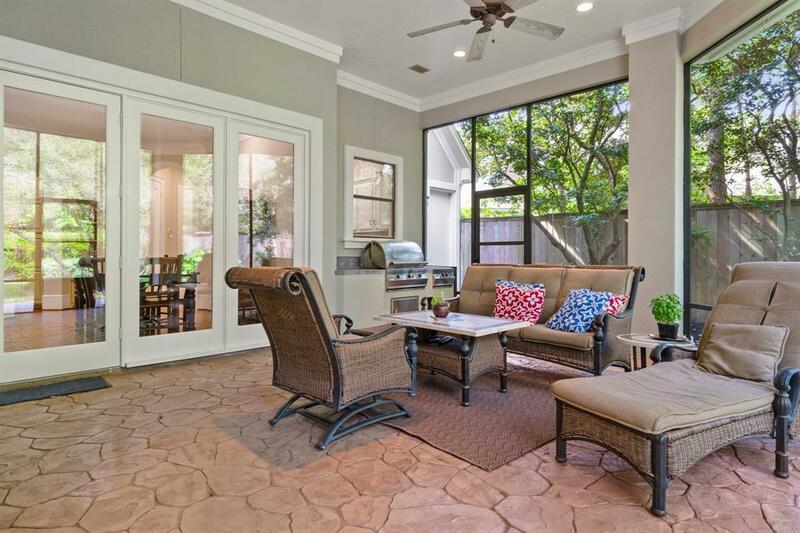 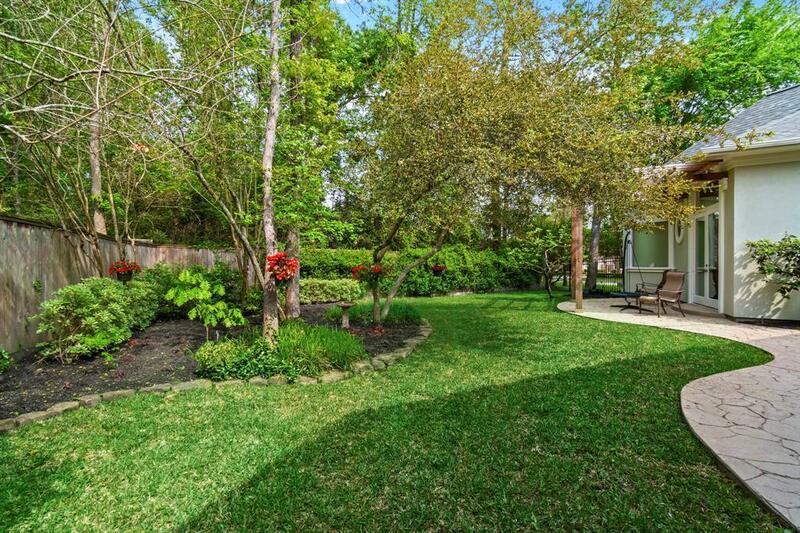 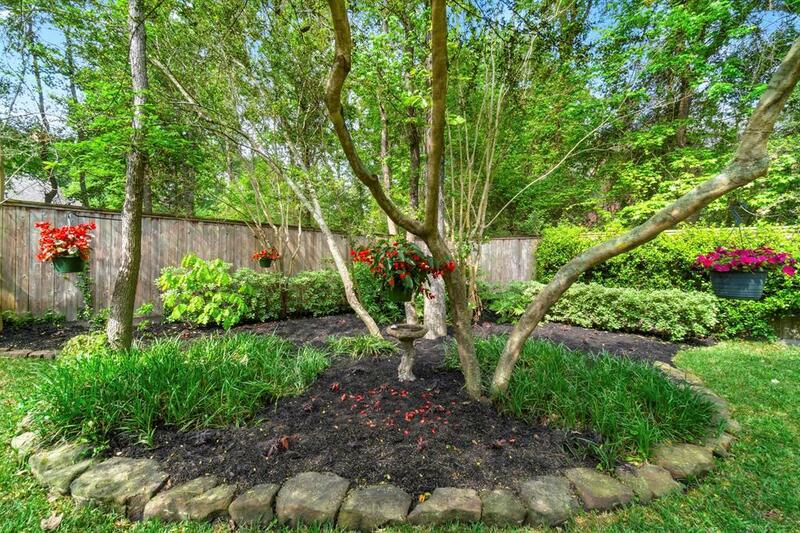 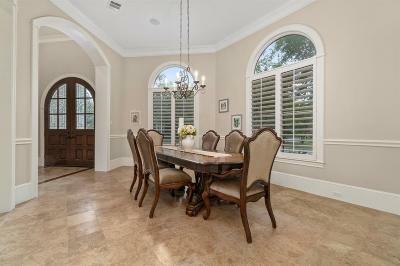 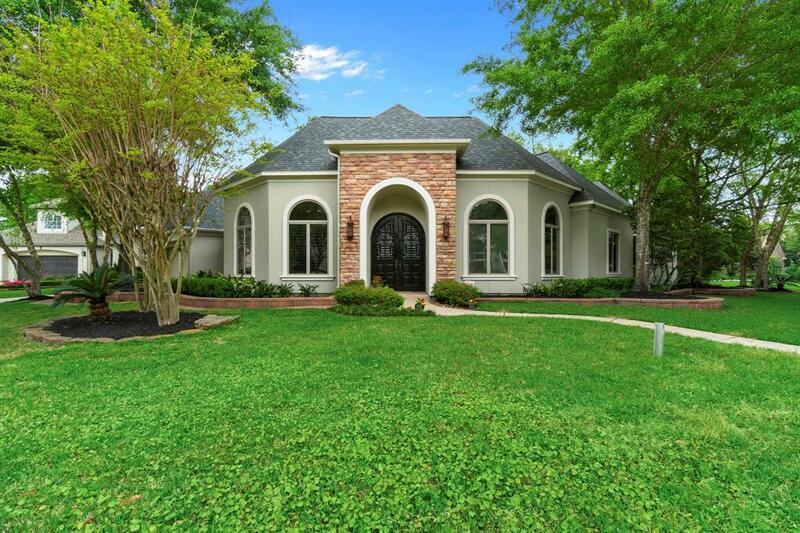 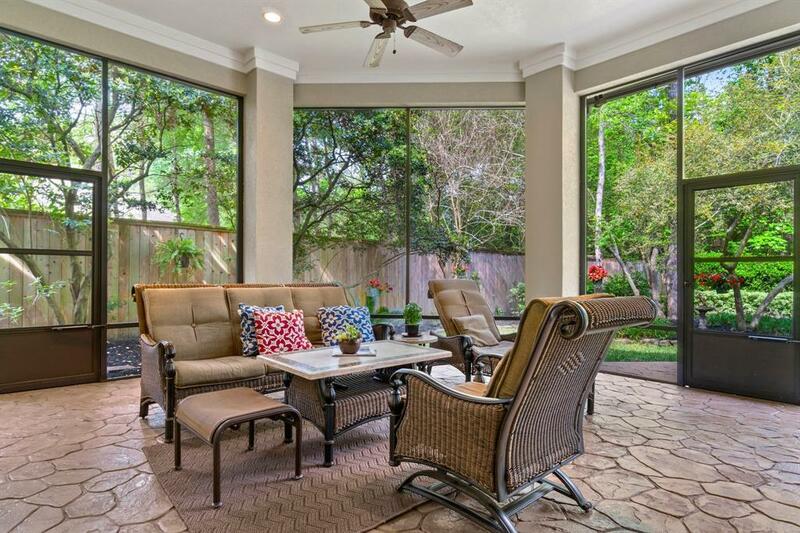 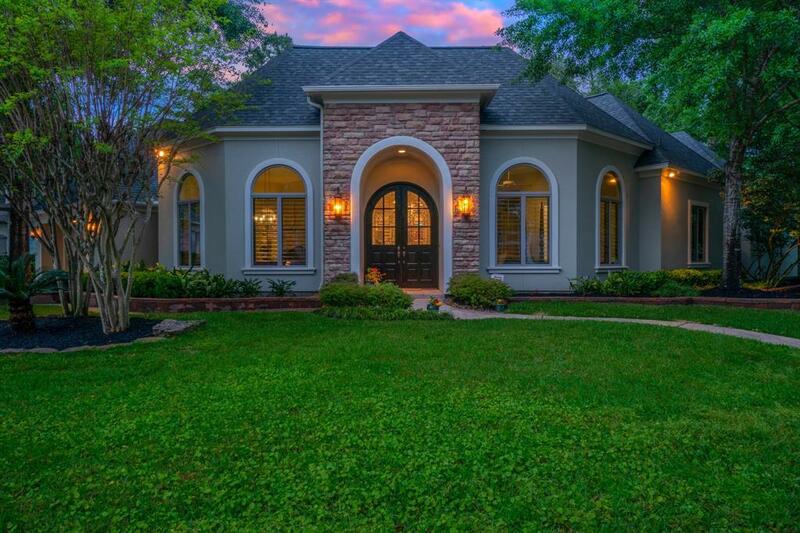 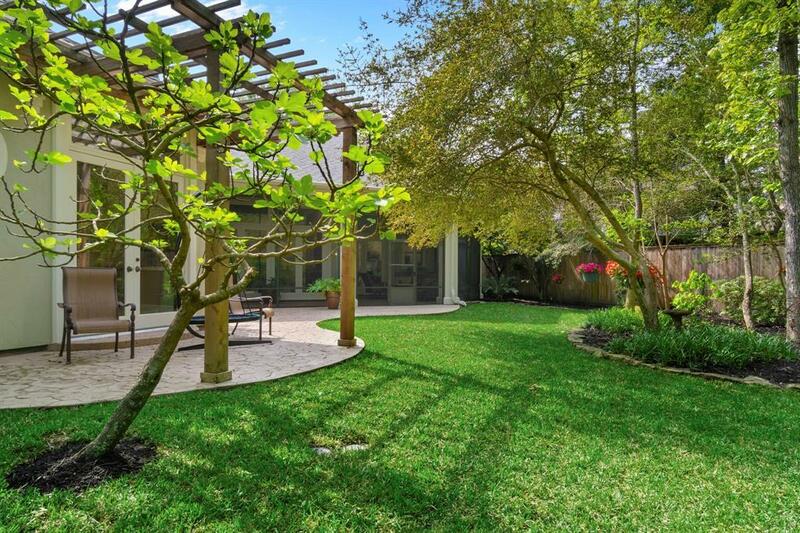 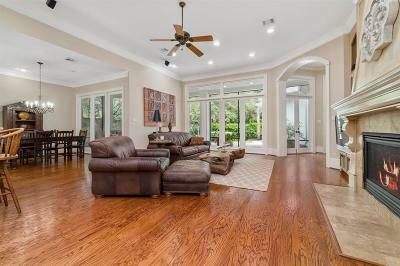 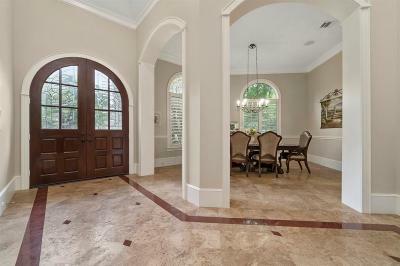 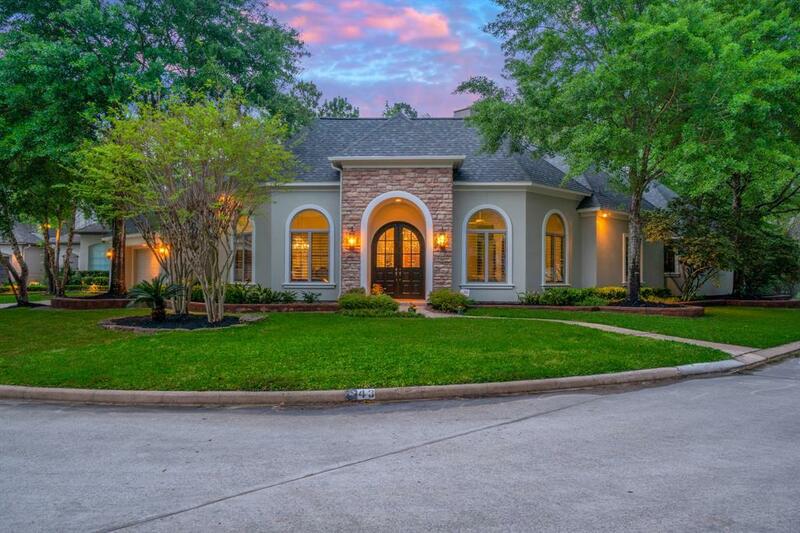 Hard to find one story in the highly sought after enclave of Ashlar Point by the Woodlands Country Club and Golf Course. 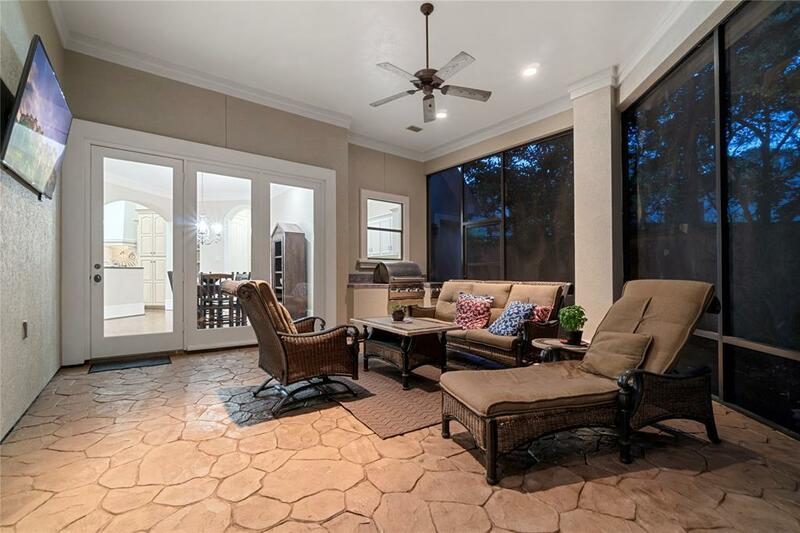 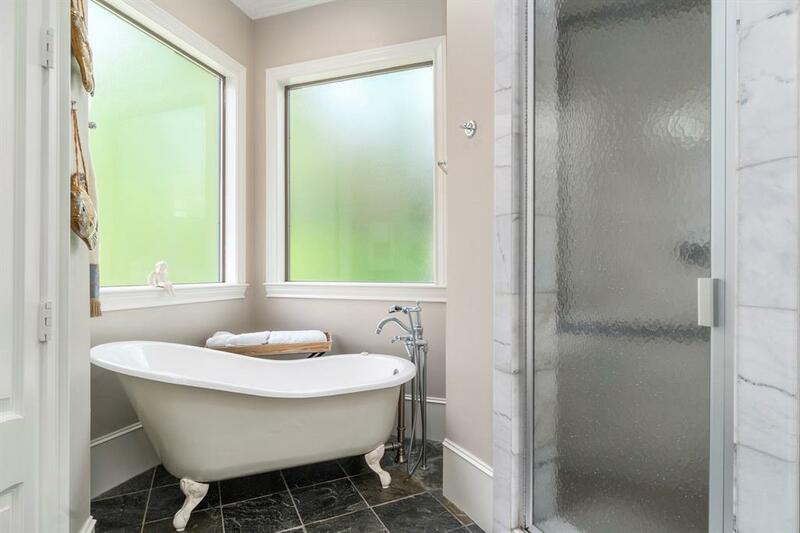 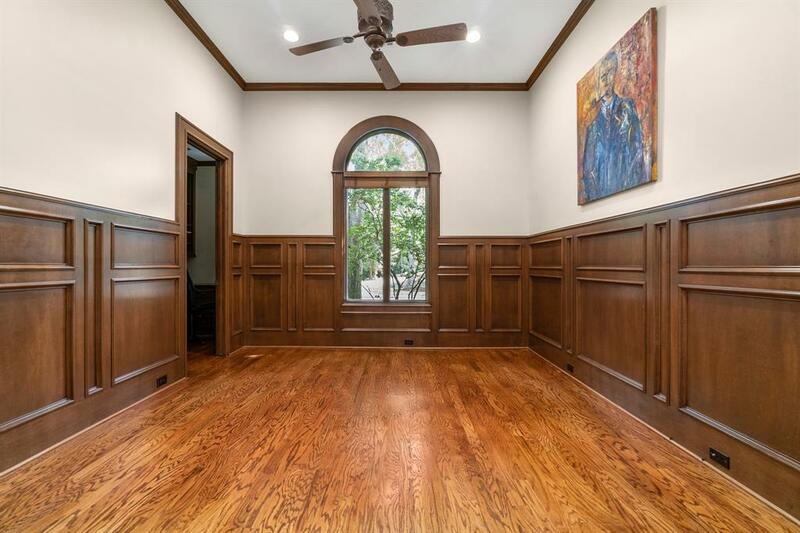 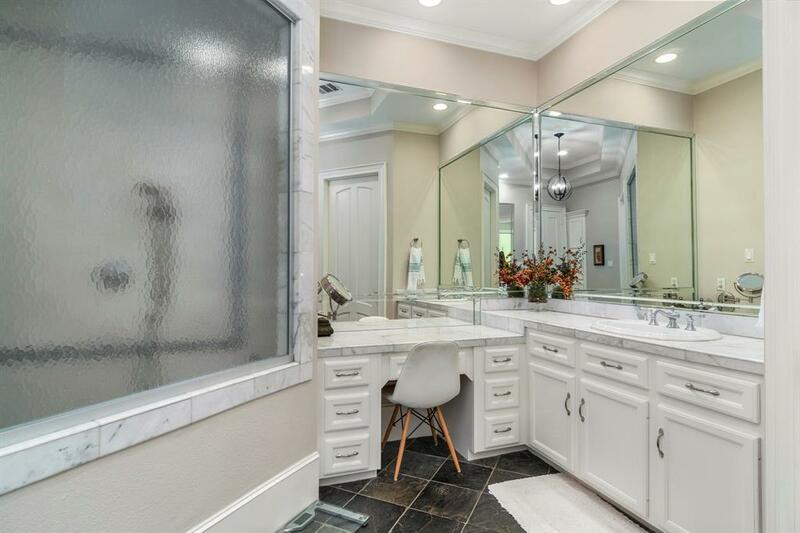 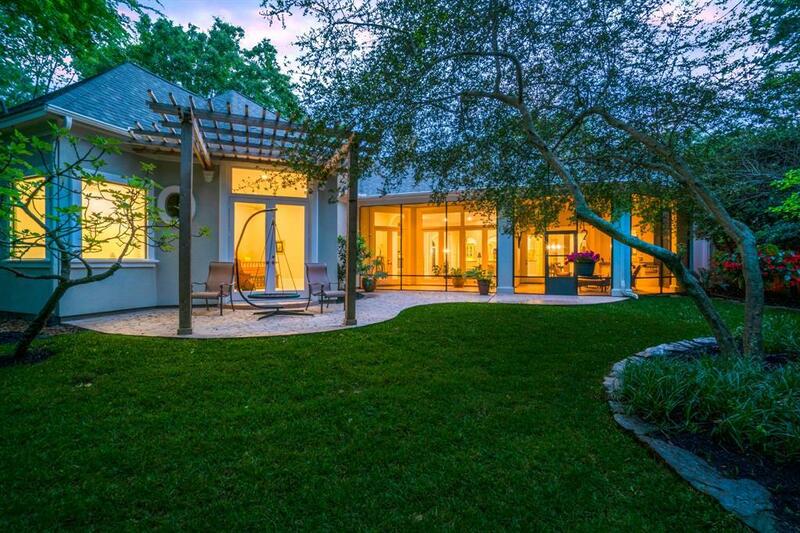 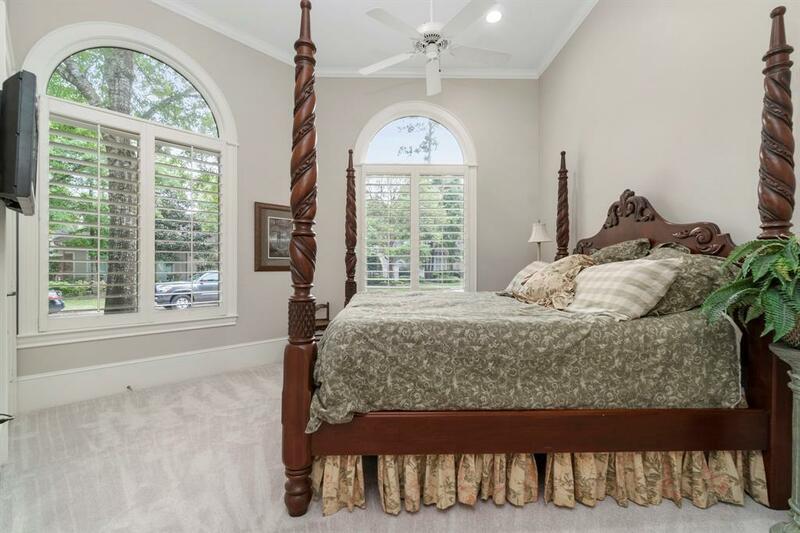 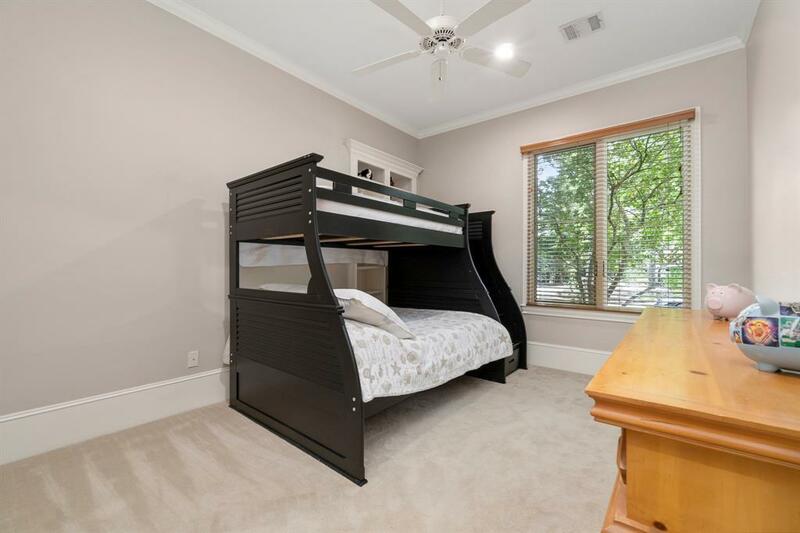 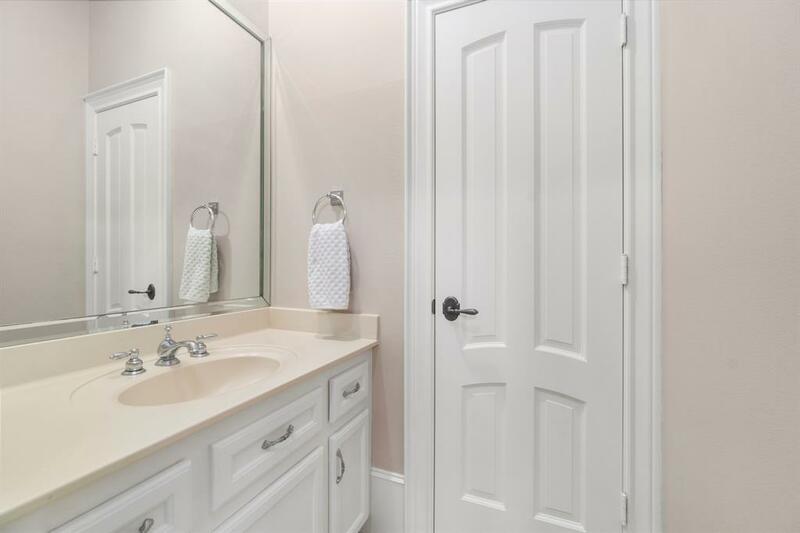 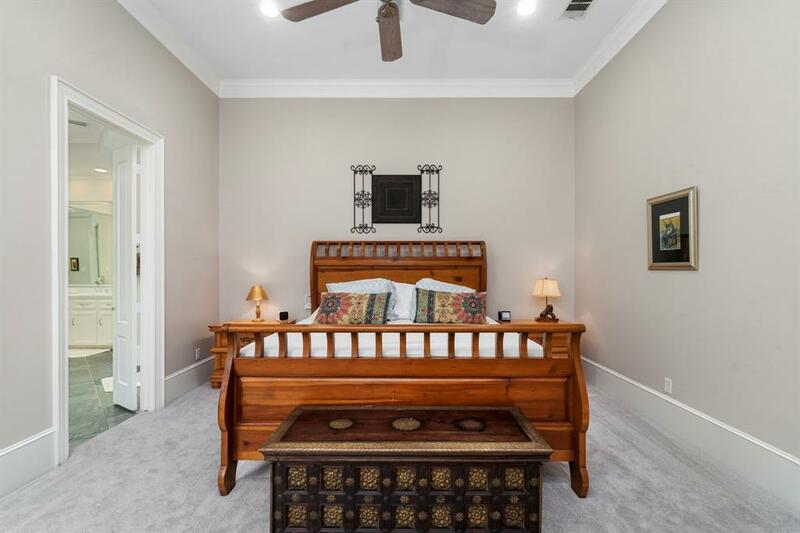 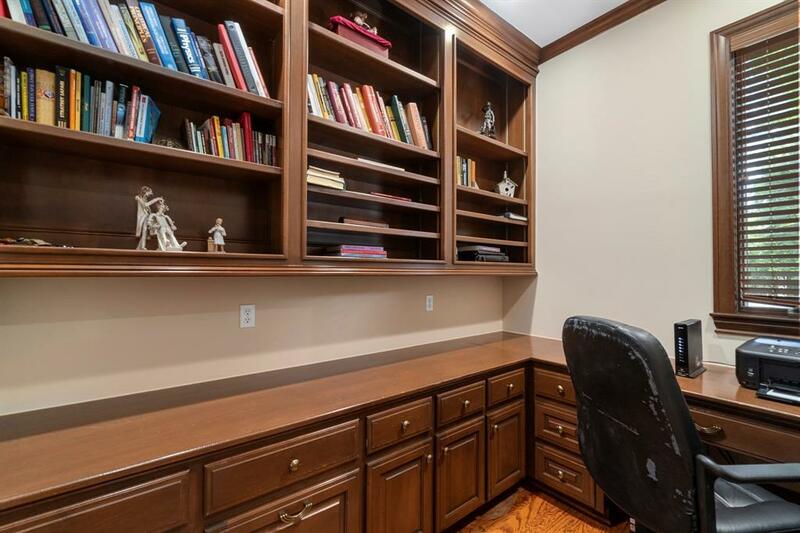 This custom home by Tom Cox has been recently updated with new roof in 2019, new paint inside and out, and recently replaced carpet in most bedrooms. 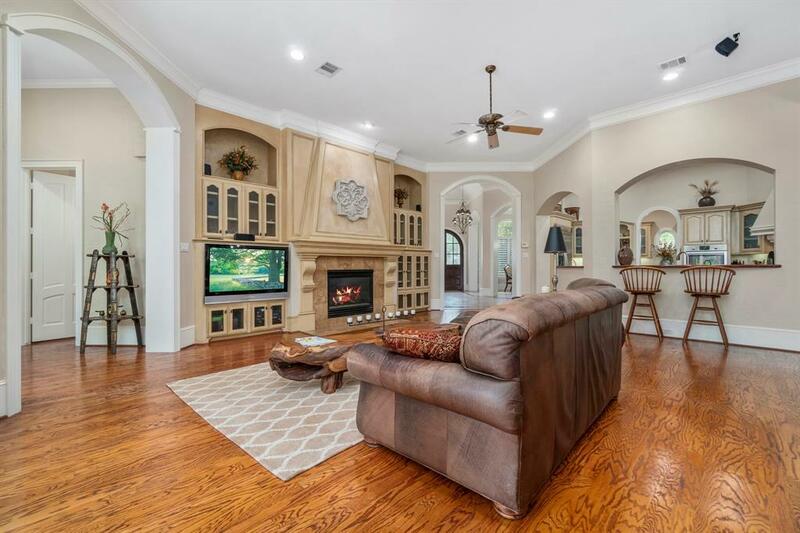 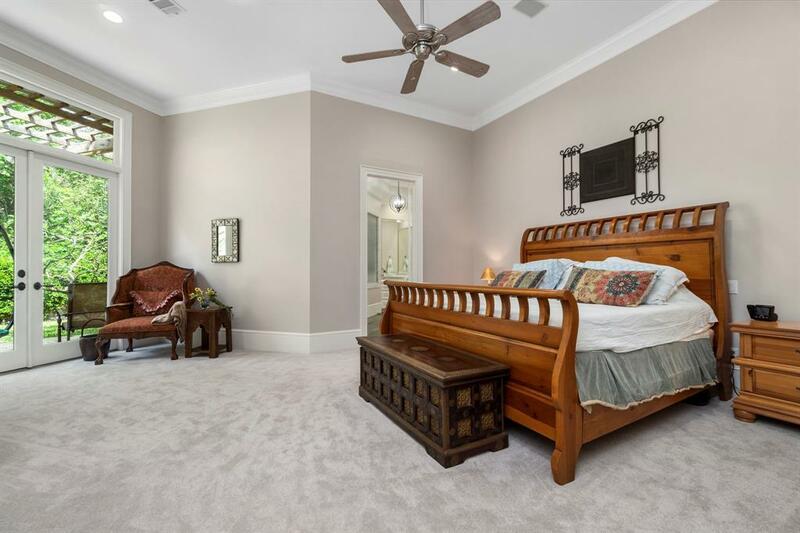 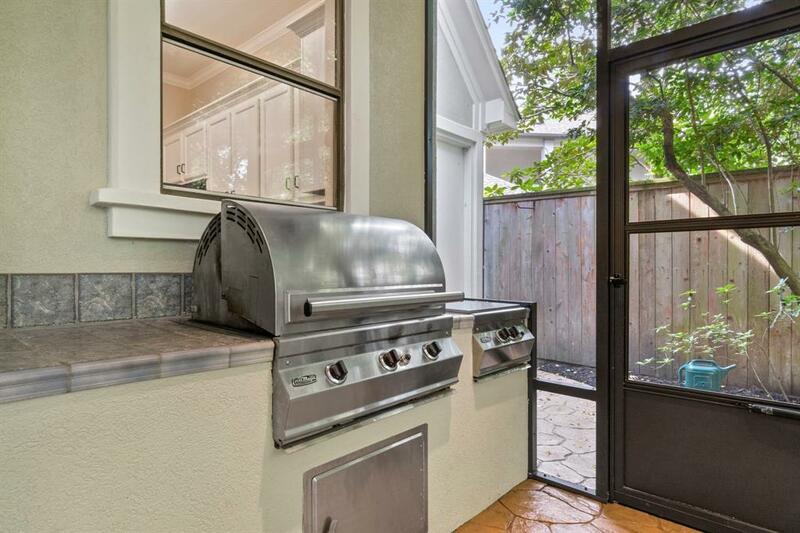 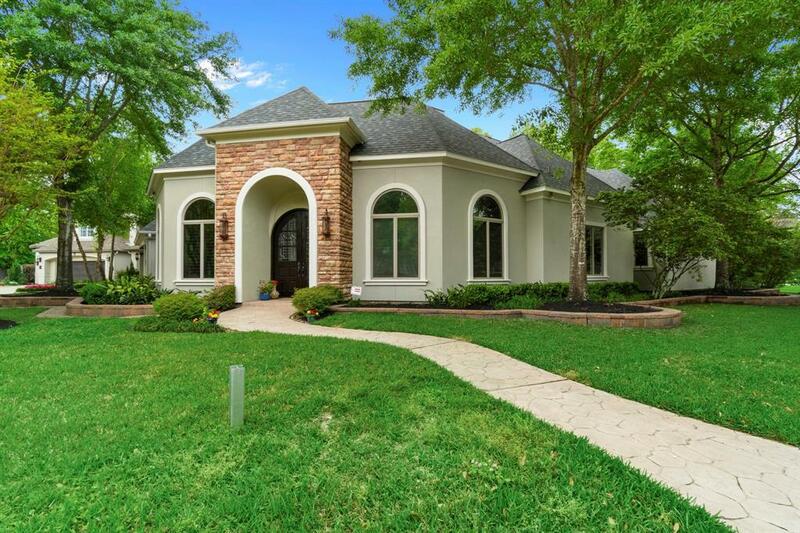 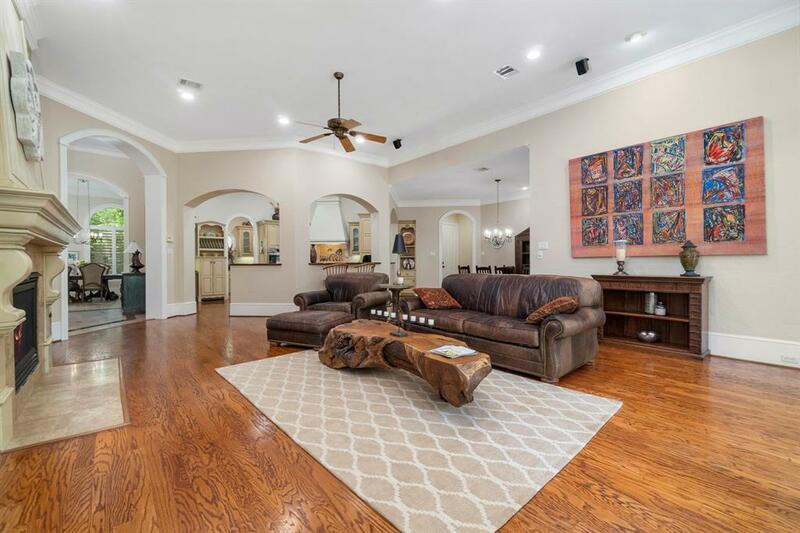 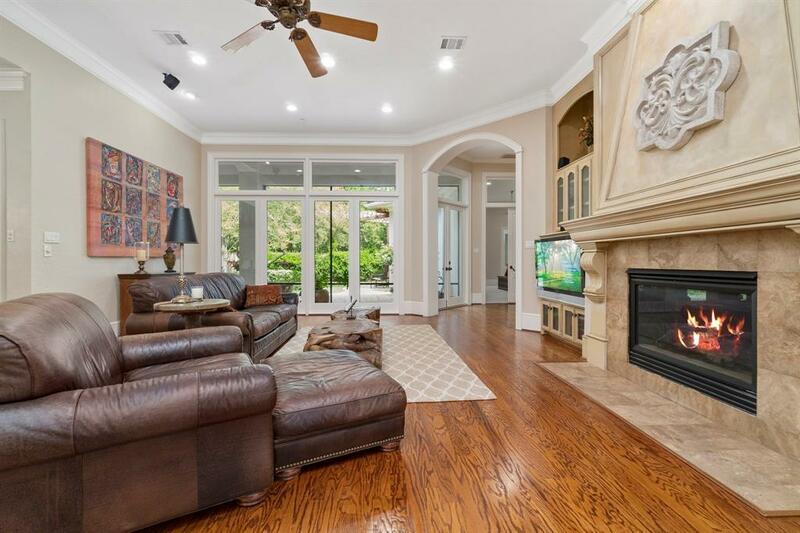 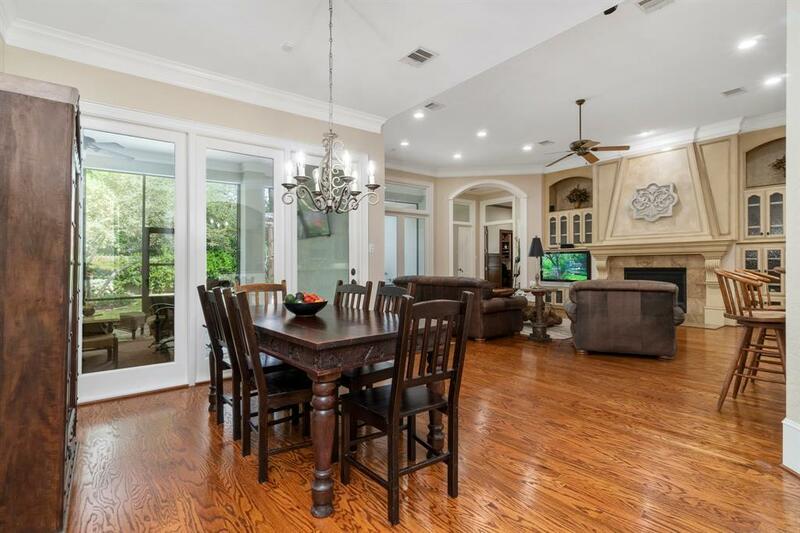 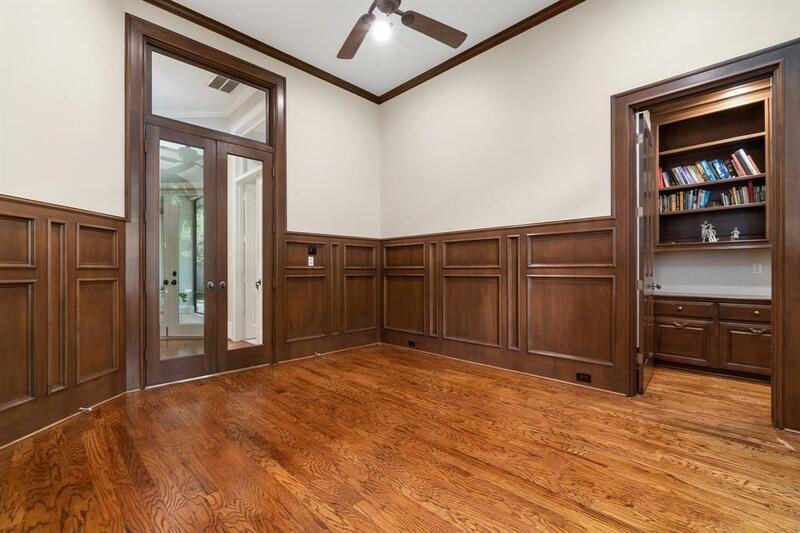 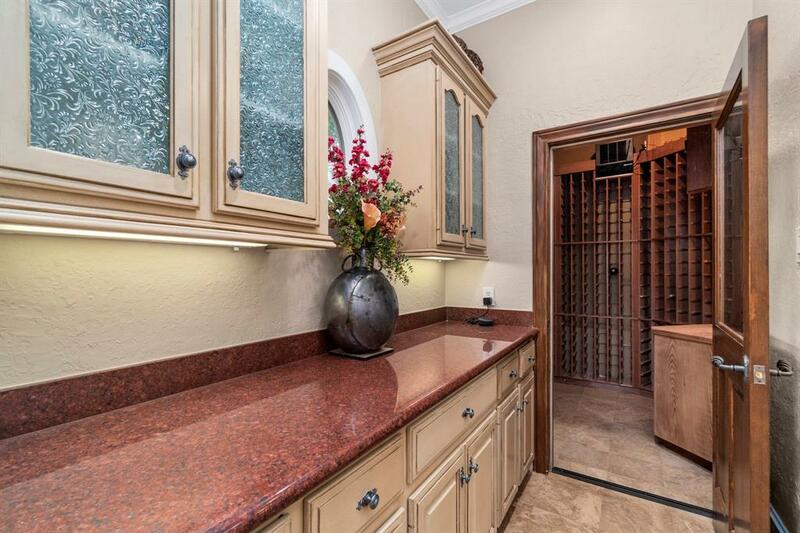 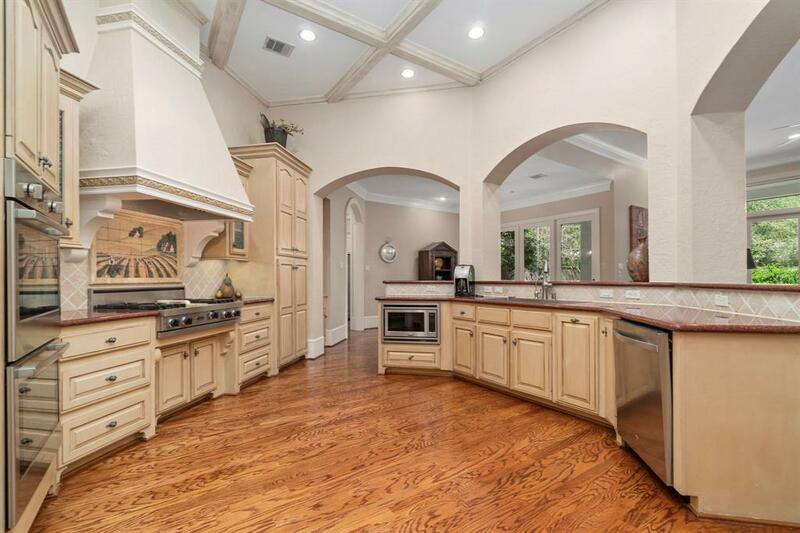 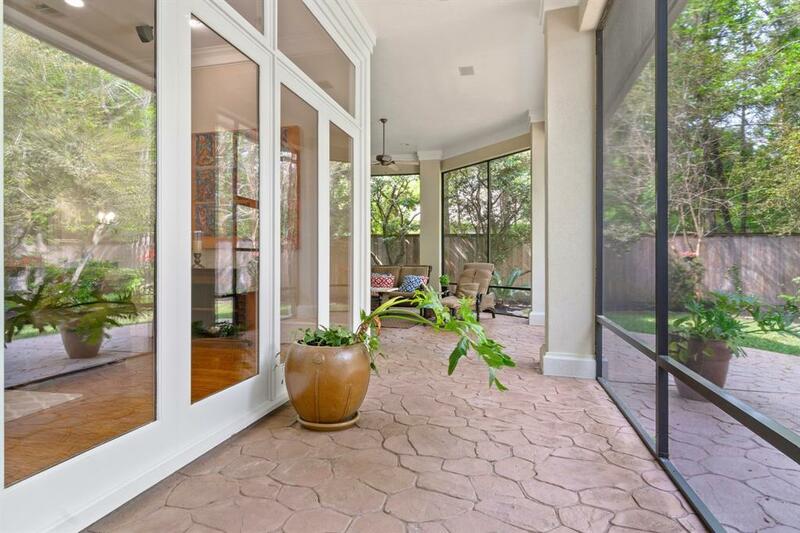 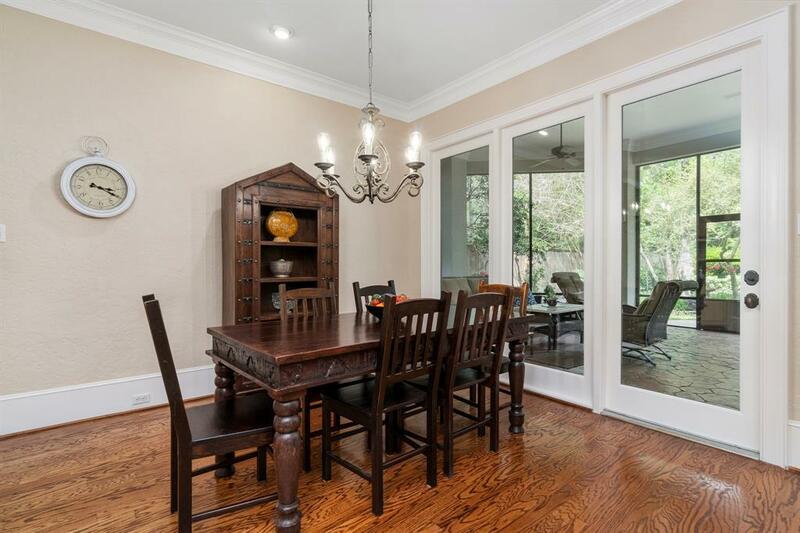 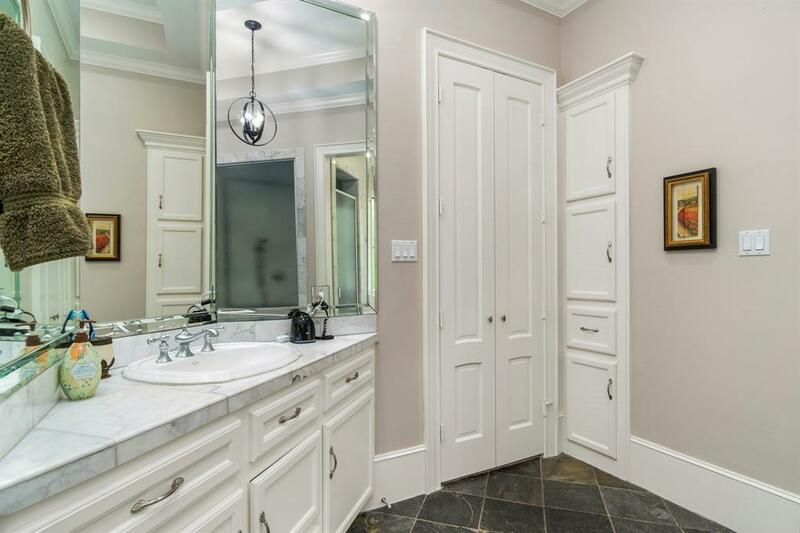 Lovely wood and Travertine floors, gourmet kitchen with Viking stove and adjoining Butlers Pantry and Wine room with humidity control, surround sound throughout house, custom cabinetry and crown molding. 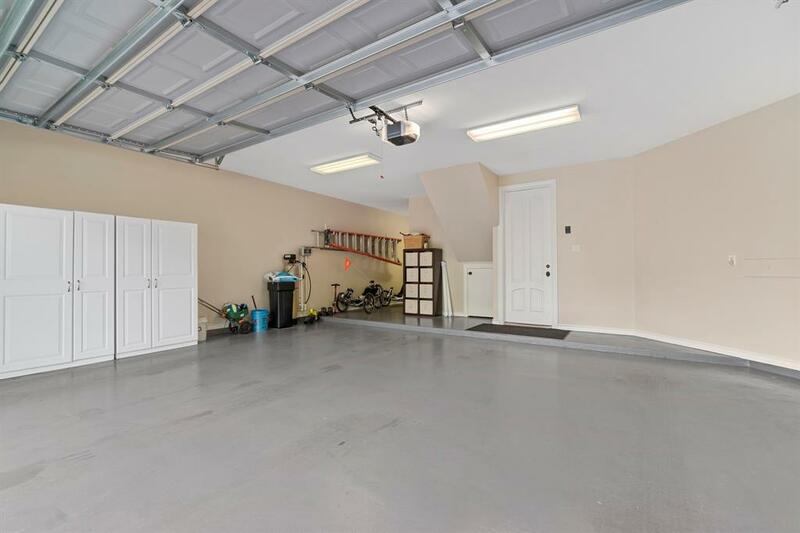 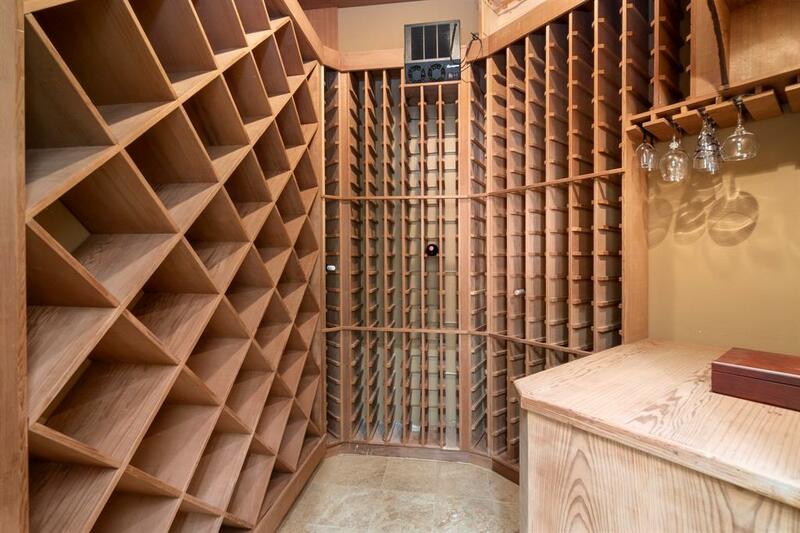 A air conditioned storage/craft room or exercise room is upstairs over the garage. 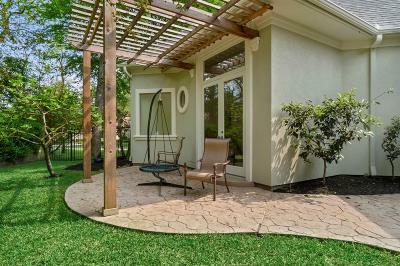 The lot has lovely mature trees with a private backyard and fantastic screened outdoor living area with television and grill. 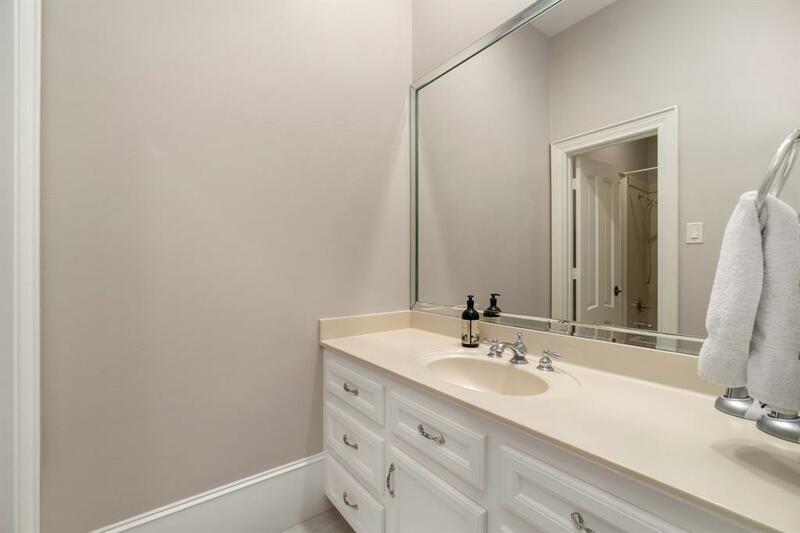 Lower tax base and low utility bills plus just added all new LED lights. 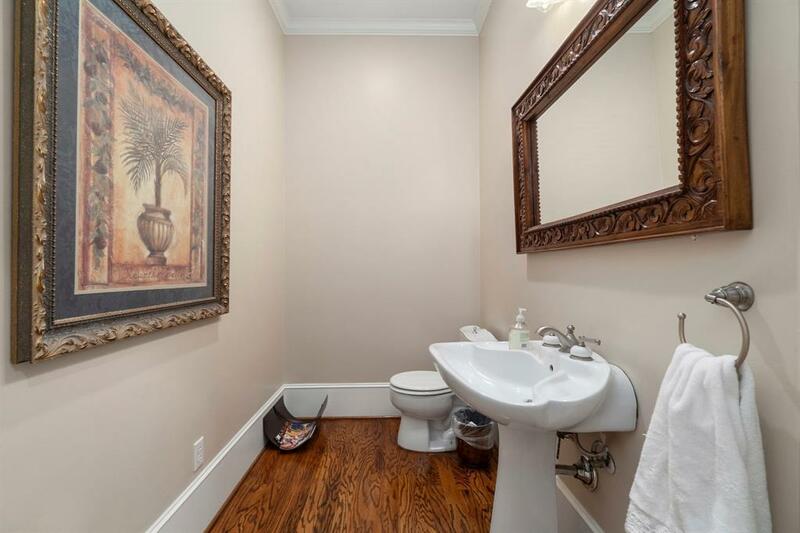 This wonât last so you need to see it now. 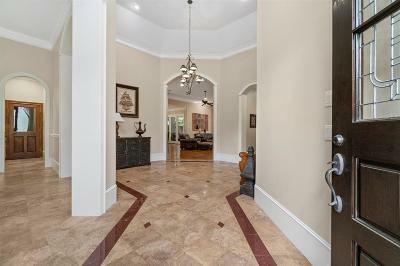 Directions: Woodlands Parkway West To Right On Cochrans Crossing, Right On Grand Fairway, Right On Ashlar Point, Left On Quail Rock To House On Corner Of Jadestone And Quail Rock.